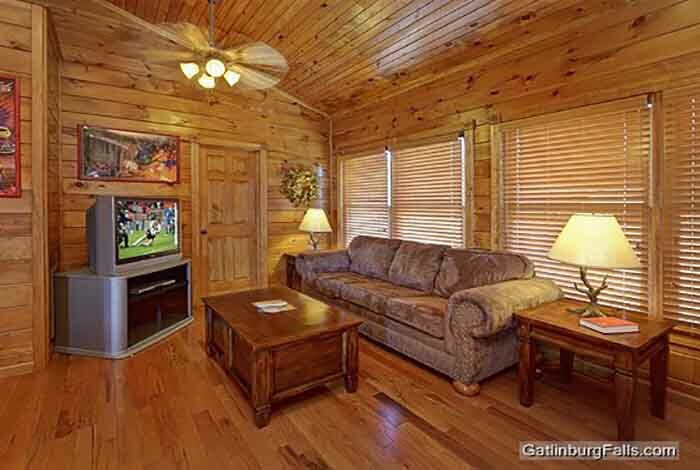 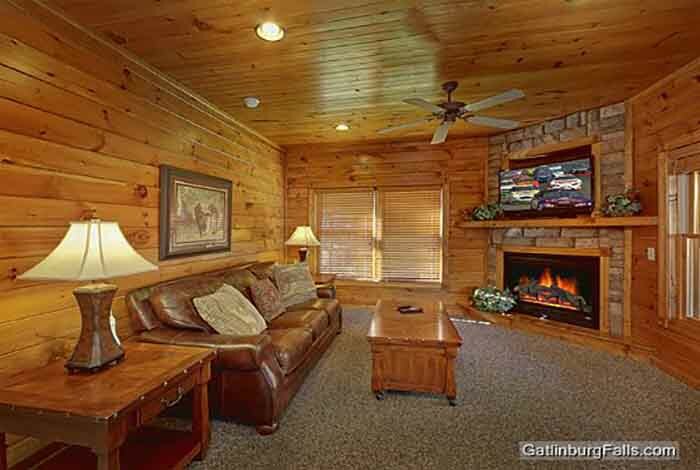 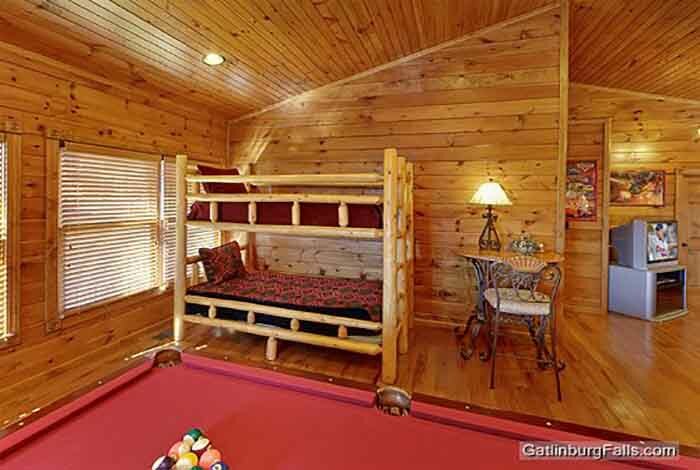 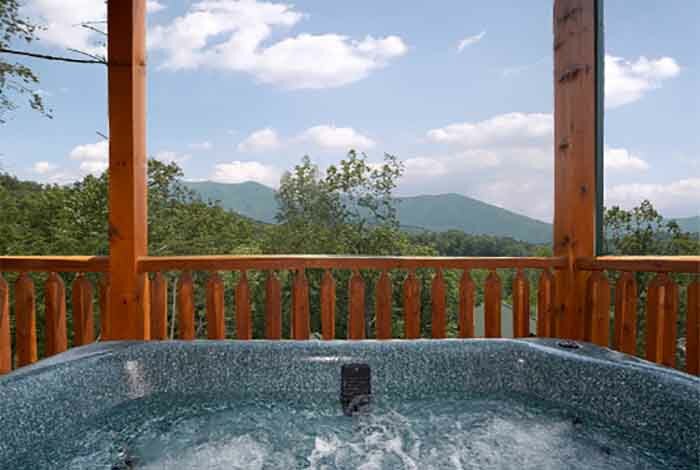 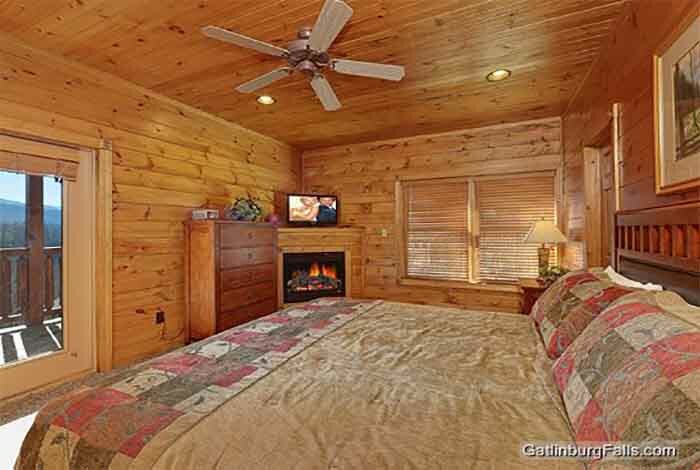 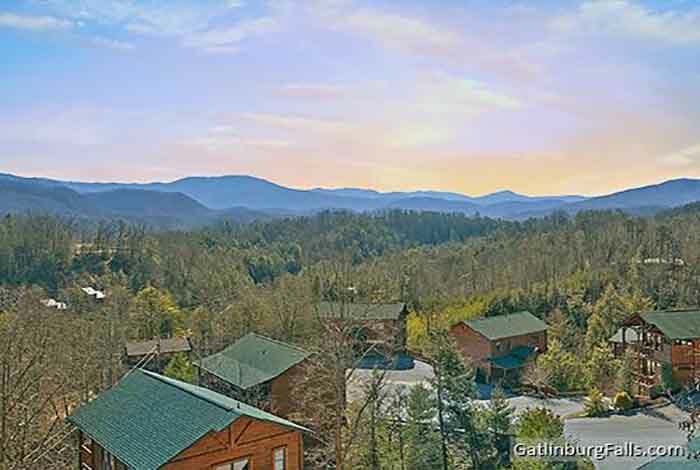 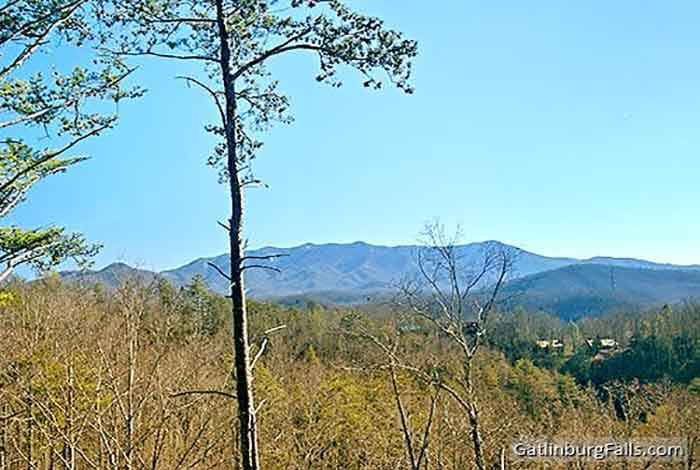 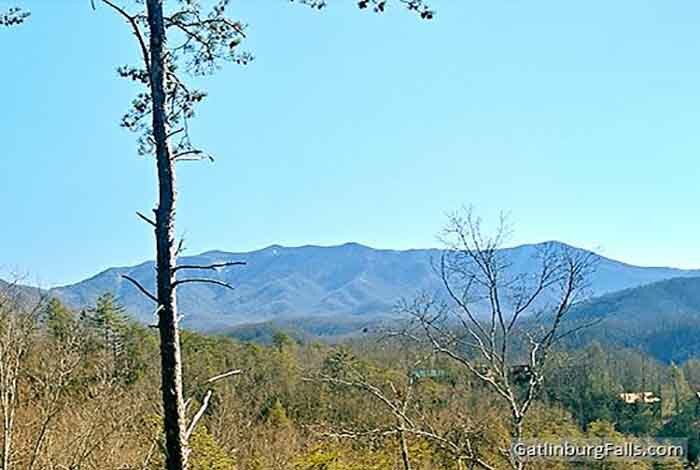 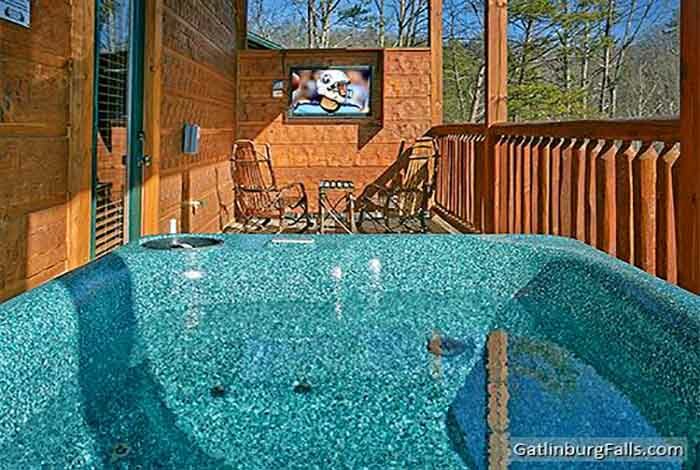 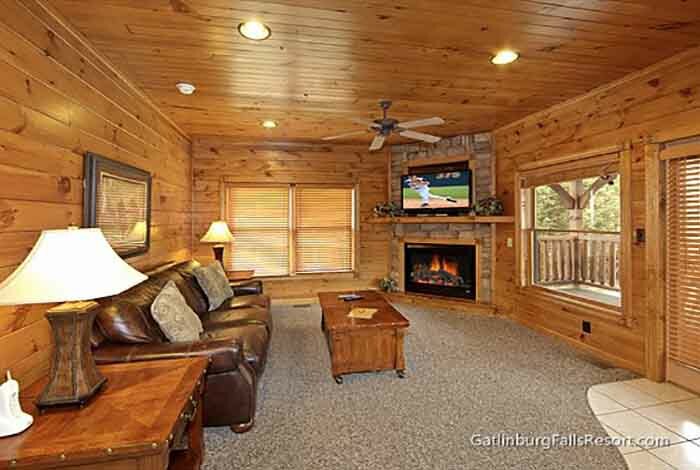 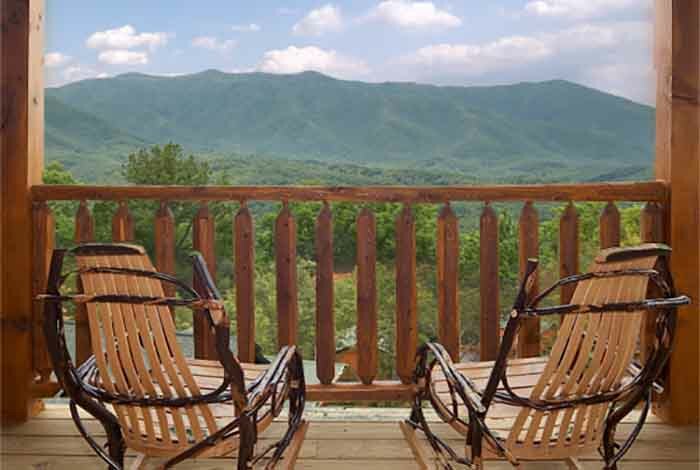 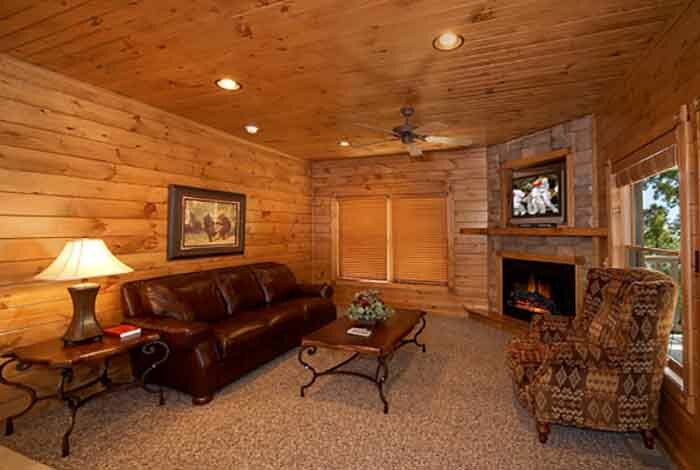 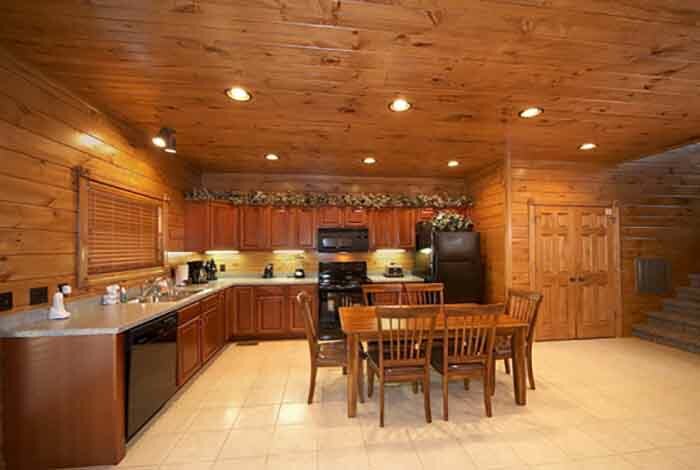 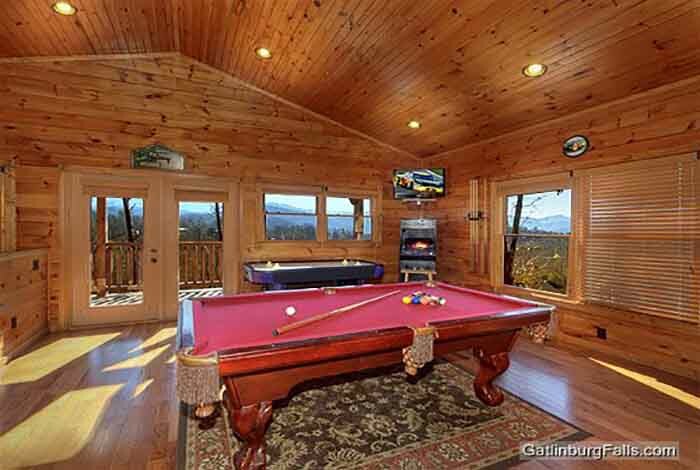 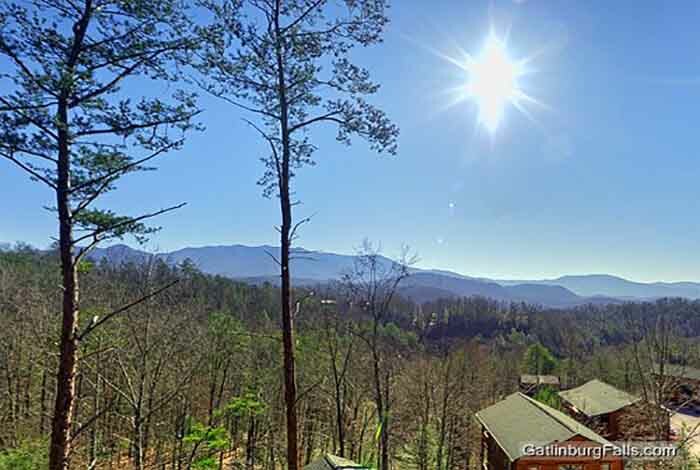 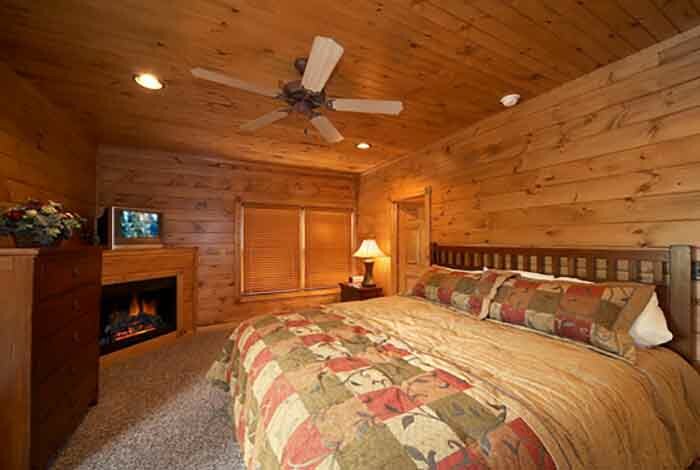 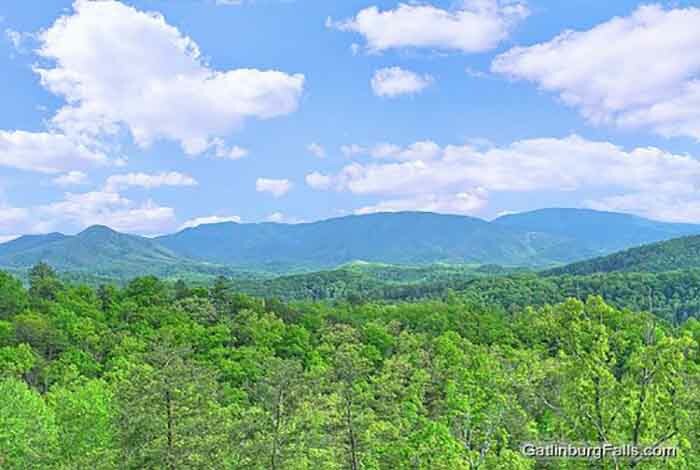 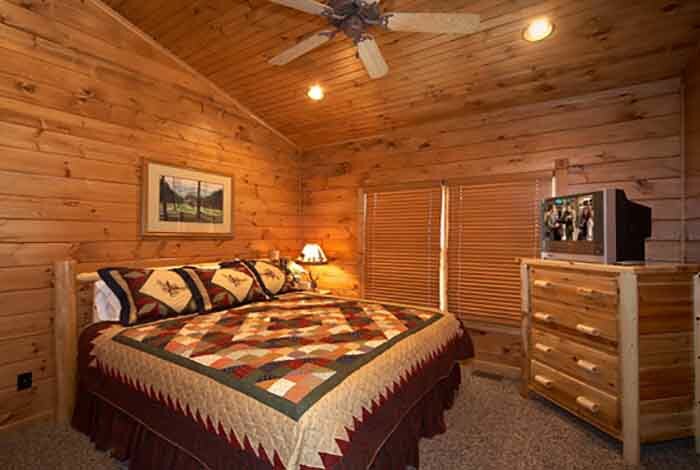 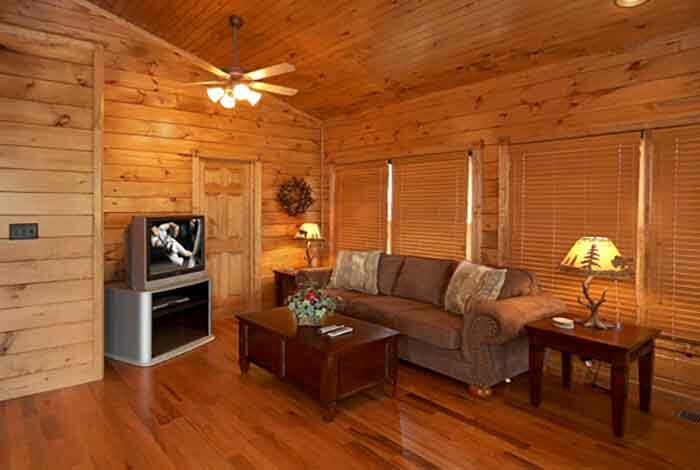 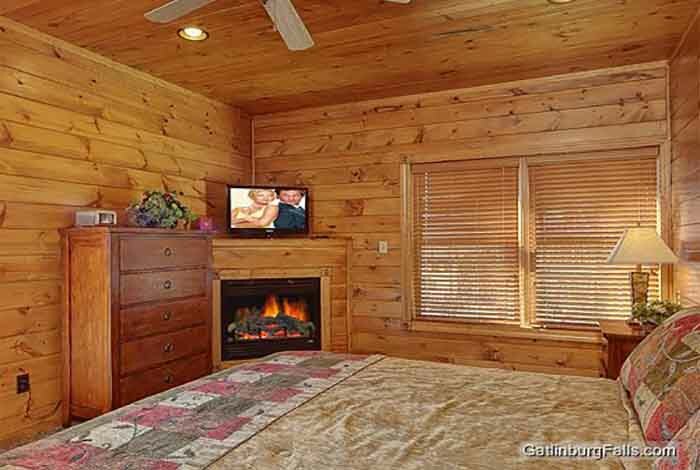 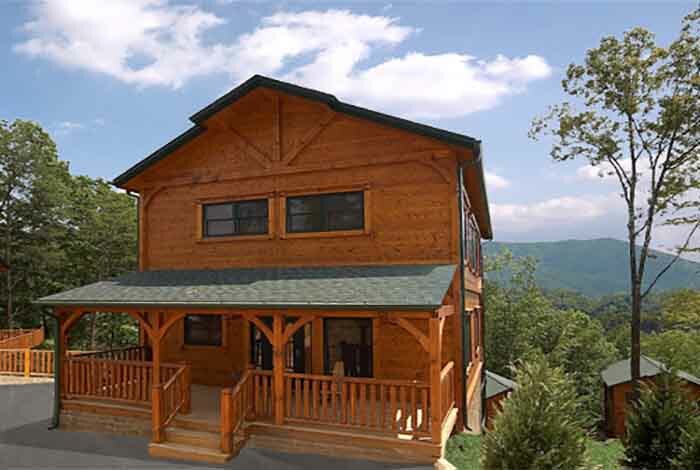 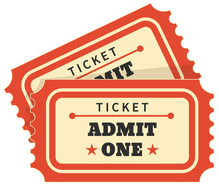 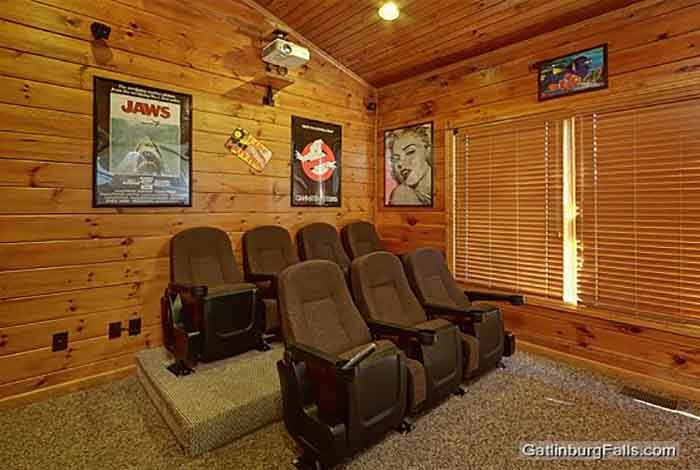 Come experience the wonder and adventure of the Great Smoky Mountains at Best Views and Movies, a 1 bedroom luxury Gatlinburg cabin rental located in the pristine Gatlinburg Falls Hidden Valley Resort. 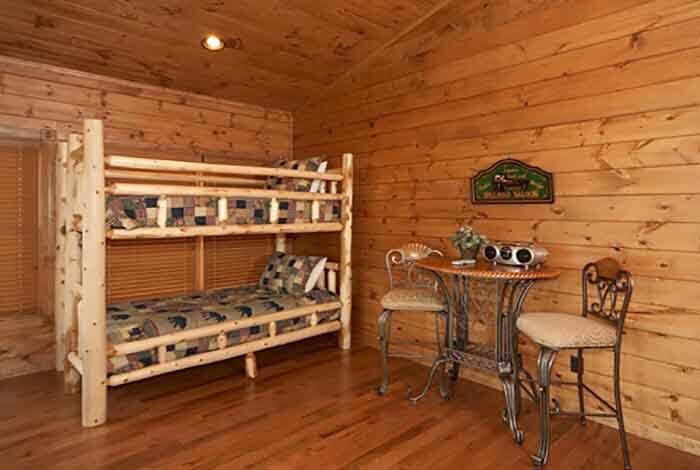 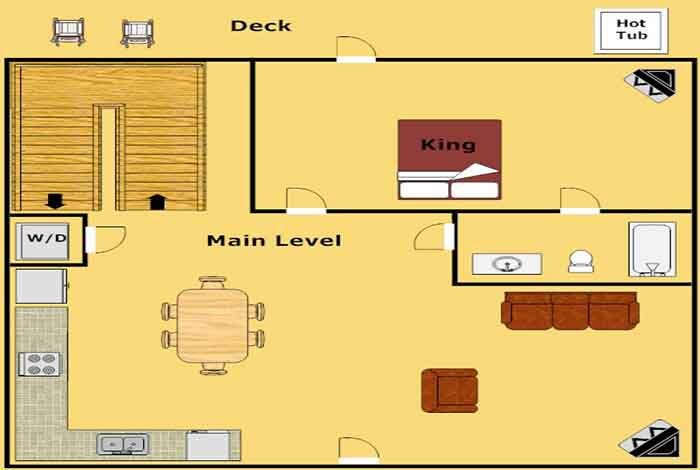 With its 1 king bedroom, 2 queen sleeper sofas, and 1 twin sized bunk bed, this cabin can comfortably accommodate up to 8 people, making it ideal for an unforgettable family getaway. 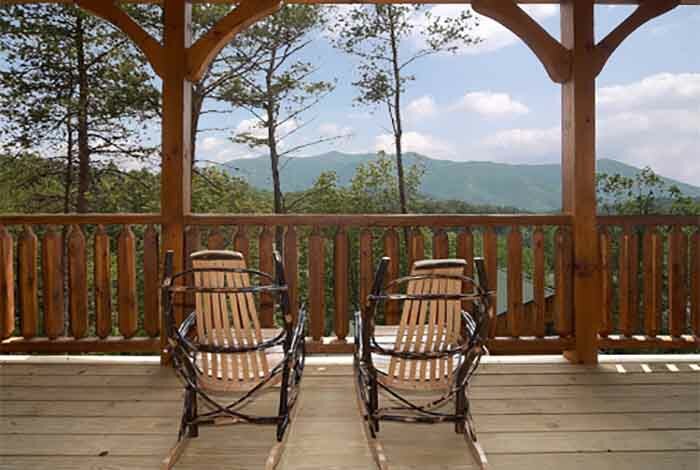 Adults will love relaxing on the back deck in their porch swing and Amish rocking chairs, all of which feature breathtaking views of Mt. 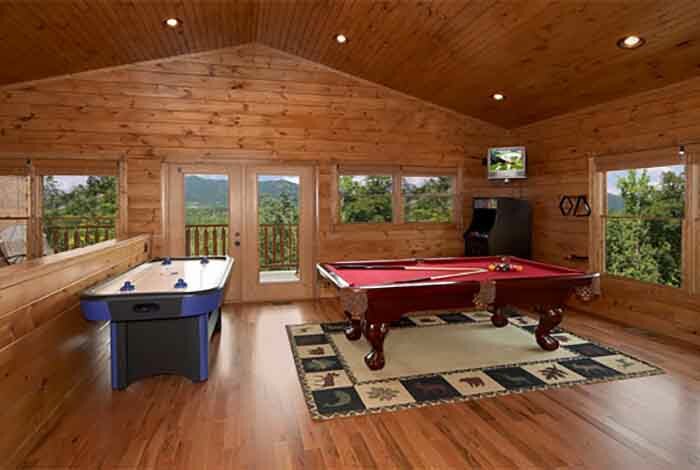 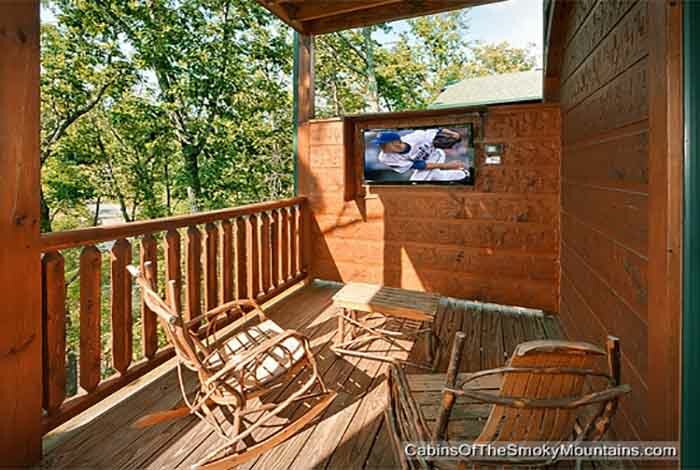 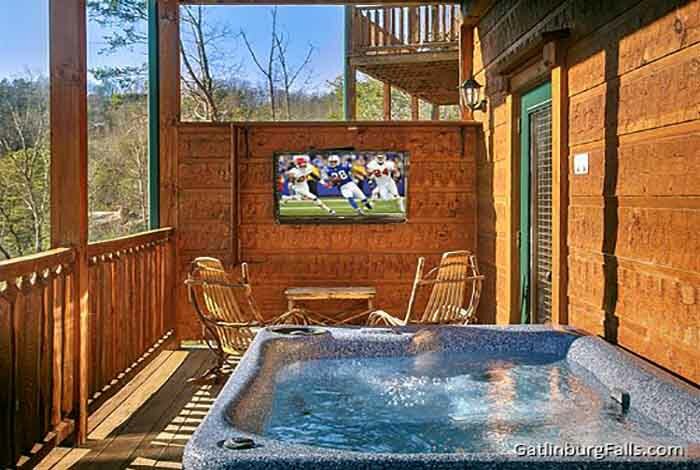 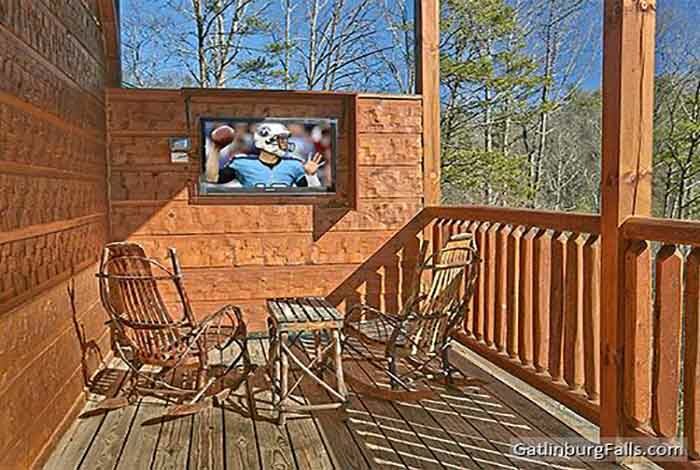 Leconte and the Great Smoky Mountains National Park or watch News or Ballgames on rare outdoor Deck TV while relaxing in Hot Tub. 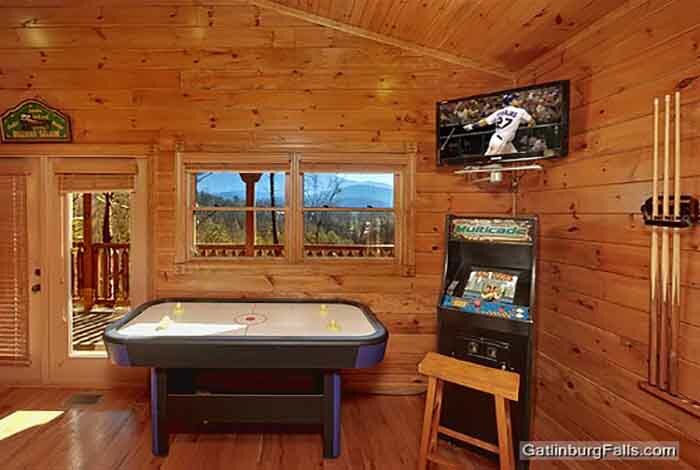 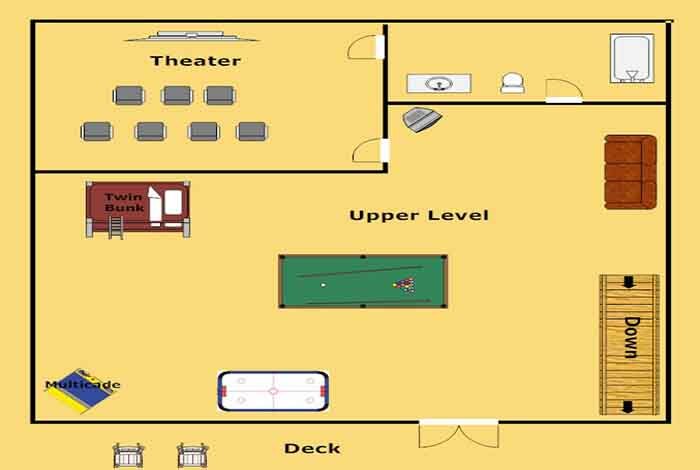 Kids are sure to enjoy the game room which is stocked with Pool Table, Air Hockey, XBOX 360, and Ms. Pac Man/Galaga arcade game. 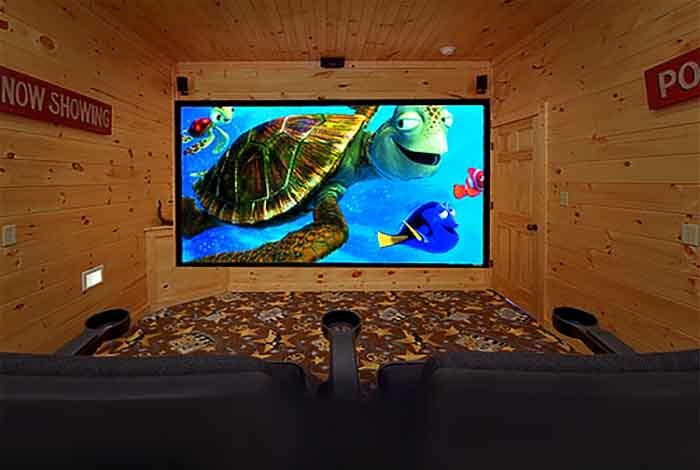 And all ages will enjoy the Blue Ray movies in Dolby HD Surround Sound on huge 110" Theater Screen. 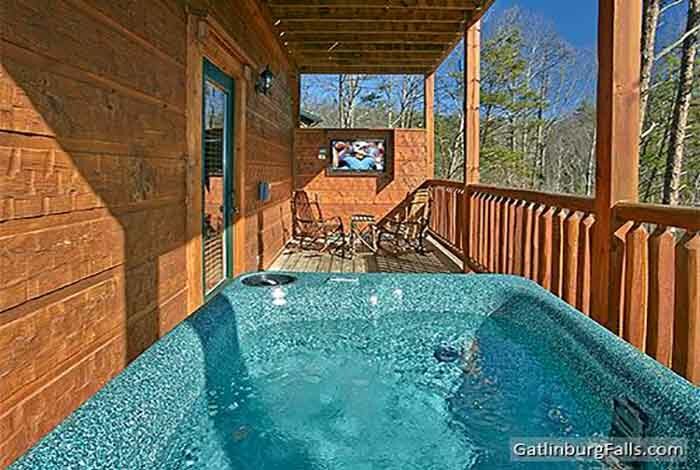 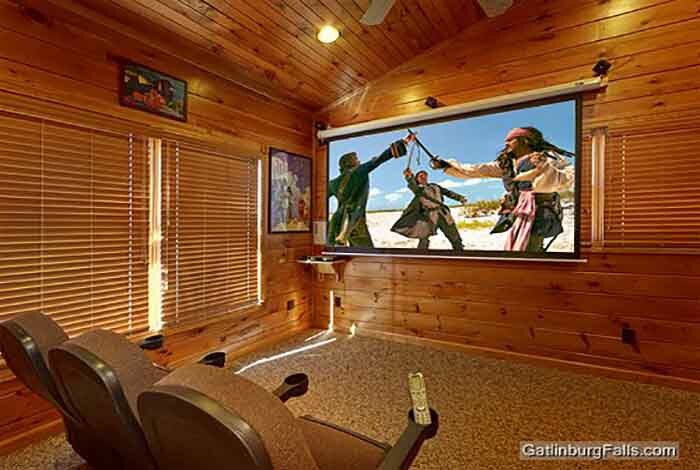 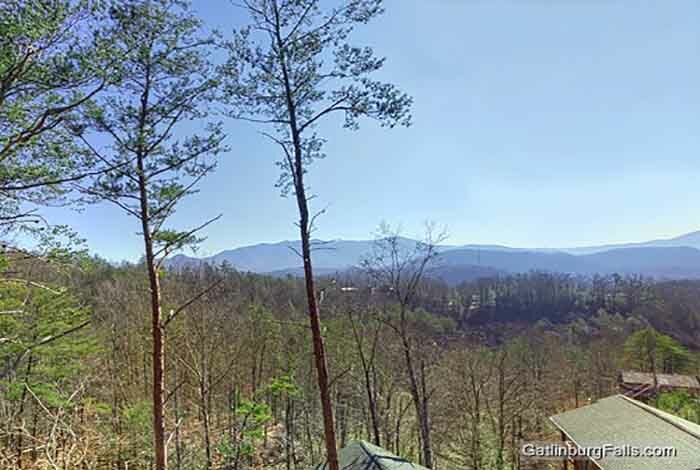 All this while being located just around the corner from downtown Gatlinburg and minutes from Pigeon Forge is why Best Views and Movies is one of the premier cabin rentals in the Smokies.